Perhaps I am a little slow off the mark with the watch that is the subject of this post, but I don’t get up to Brisbane much (only my second visit in this century), so it has taken me until now to get to actually see the much talked about Habring2 Foudroyante ‘in the metal’. ‘Foudroyante’, sometimes known as ‘flashing seconds’, refers to the subdial at 9 o’clock with a hand that moves at one revolution per second i.e. an elapsed time of 1/8th second for each number. That comes to a total of 86,400 revolutions per day. 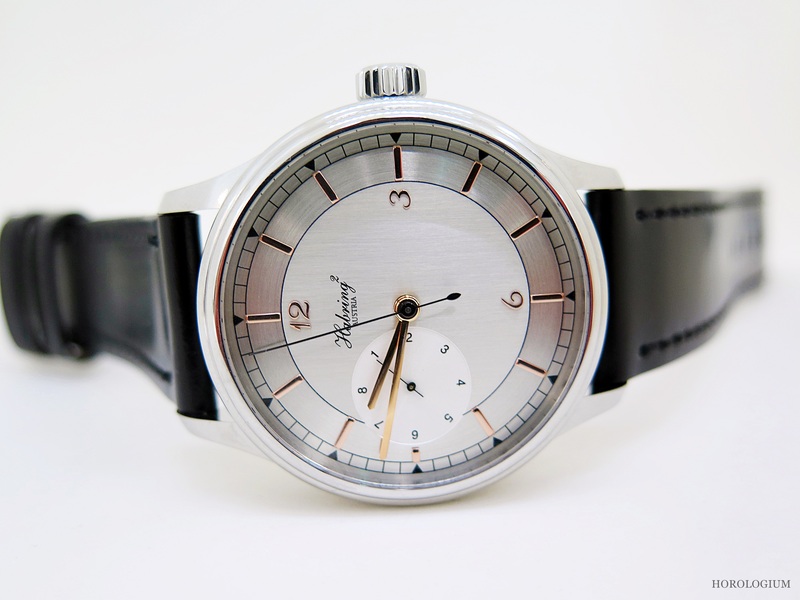 This watch combines a foudroyante with another special complication, a dead-beat seconds. This turns the seconds hand into one that looks as though the movement is a quartz, where there is one leap per second, rather than the standard sweeping seconds hand of a mechanical watch. The foudroyante displays the ‘bits’ between each of these seconds (counts in 1/8th second intervals). In trying to find a way to explain how the ‘flashing seconds’, as some refer to it works, and in saying this I admit that knowing what something is doesn’t necessarily mean understanding it, I discovered that many online descriptions are nothing more than that, a description of what it is, but not with enough information for the average reader, the random passer-by reader, to get a proper grasp of. I also realised that I also fell into the category of knowing what it is but embarrassingly, not being able to relate more than a ‘dictionary definition’, so to speak. So in light of this, I am going to attempt an explanation here. If there is any ‘rookie error’ then I know that at least one of you is going to correct me, and any elaborations/ explanations left in the ‘comments’ section are as always, welcome. When you read the specs of watches, you will notice that the most common VPH is 28,800 vibrations per hour for the balance wheel (also called 4Hz i.e. four oscillations per second). One vibration is a single swing of the balance wheel. A vibration = half of an oscillation i.e. one swing of the balance wheel = one vibration and two swings = an oscillation. For 28,800 VPH, the balance wheel oscillates four times per second i.e. the attached hairspring ‘breathes’ four times in and out. This means eight semi-oscillations/ vibrations per second. With each vibration the balance wheel receives an impulse from the gear train and the escape wheel advances ½ a tooth. What this foudroyante does is that it ‘shows’ the semi-oscillations, each eighth of a second, at 9 o’clock. 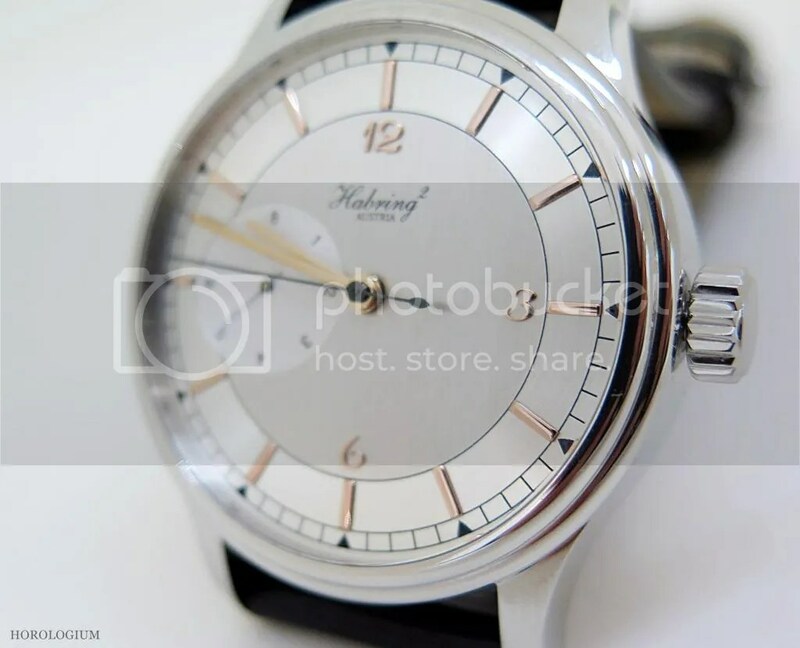 At this Habring2’s core we find an automatic CalibreA09F, a movement based on the ETA Valgranges with a forty-five hour power reserve, but with a patented dead beat seconds and foudroyante. You can see it in motion in this video below. As it was taken with a phone, apologies for its quality. It is impressive technically, but how about its looks? 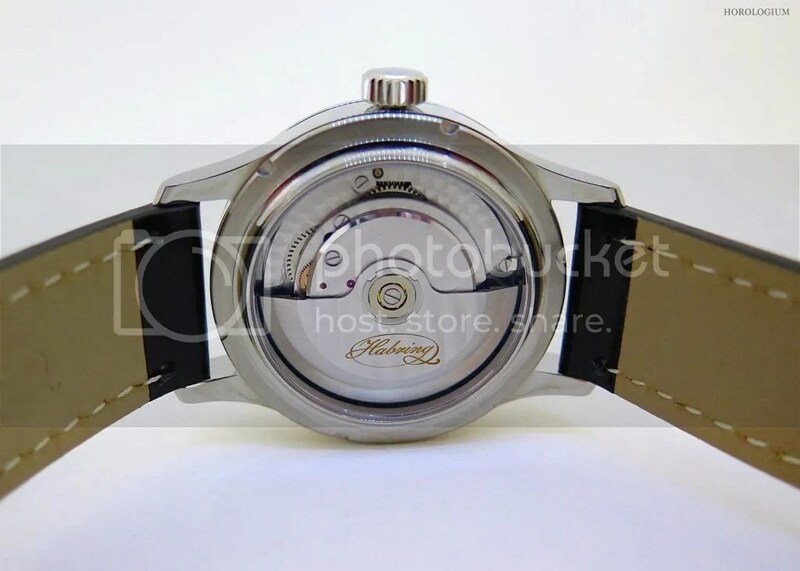 The style of the dial is pretty straight forward and distinctively Habring2, with applied hour indices (available as rhodium plated or gold), railtrack minutes, appliqué numbers, and a brushed silver dial, all wrapped up in a comfortably sized 42mm case. So it looks good and the technical bits are pretty cool, but I think there’s a strong case to be put that the best thing about this watch, for an owner, is that it comes with seventy-seven, yes you read correctly seventy-seven, of what they call “maintenance relevant” parts, so that should something come up and require attention, you may already have the relevant part to give to your friendly local watchmaker and it can be fixed locally. Now if that’s not thoughtful, I don’t know what is. For those in Australia (or the region), you can buy or enquire this watch from Define Watches. ‹ AUCTION : Lou Gehrig’s watch for sale. Again.